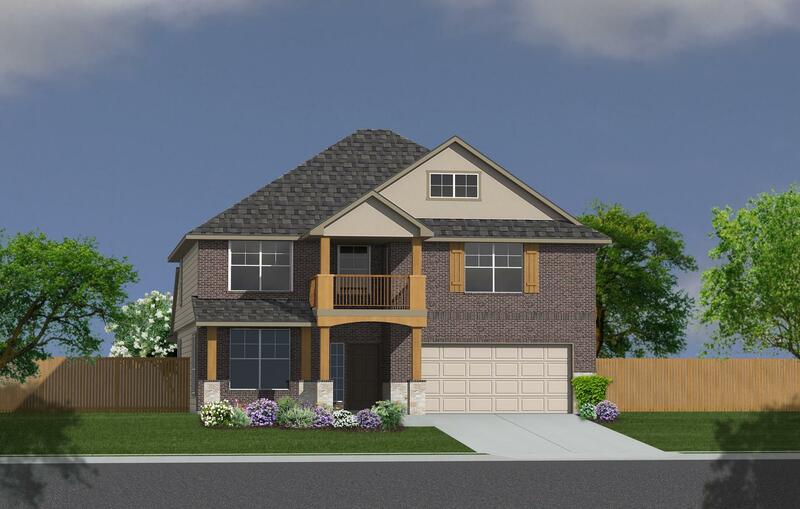 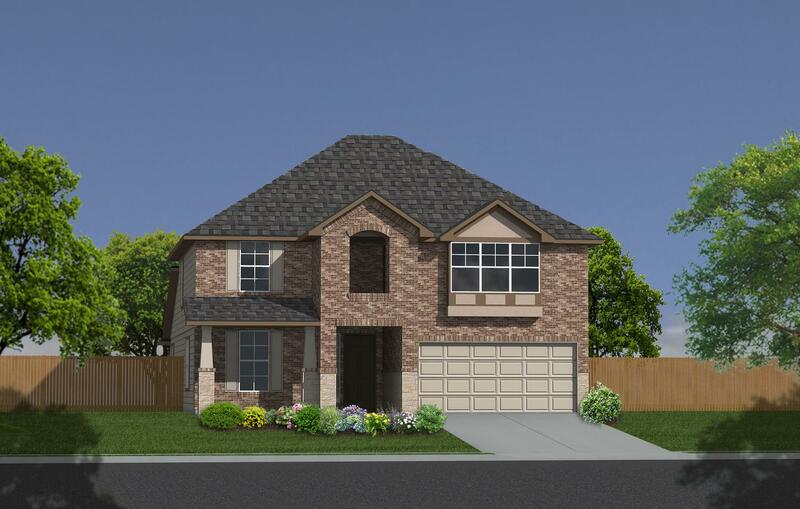 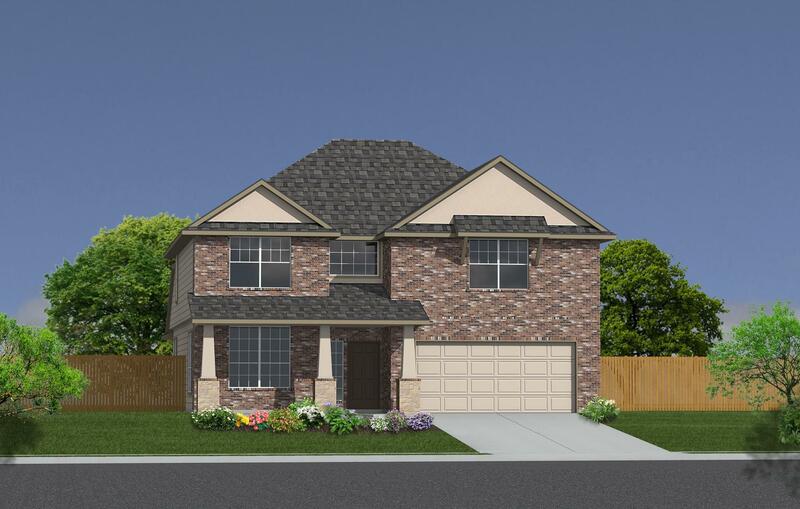 The Garner II plan features a 2-story, 5 bedroom, 3.5 bathrooms, a formal dining room, formal living room, family room, dining area, game room and media room. 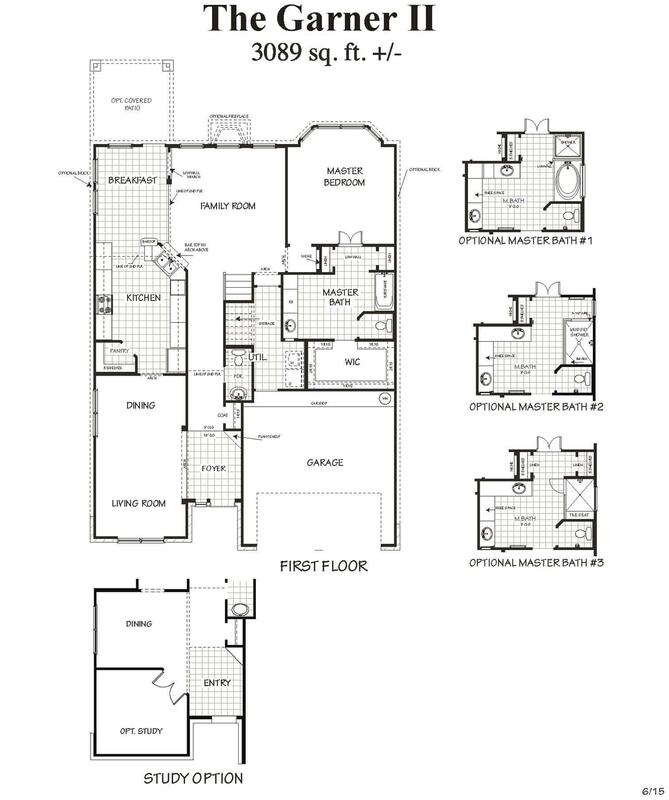 The gameroom overlooks the family room and the media room is off of the game room. 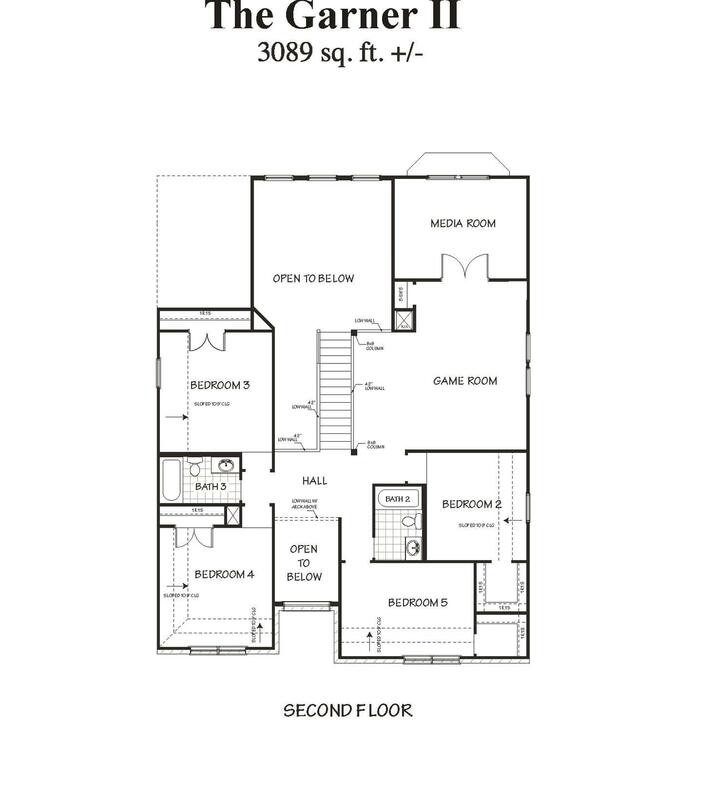 The Garner II plan offers an optional study in lieu of the formal living room or a 6th bedroom option in lieu of the formal living area.